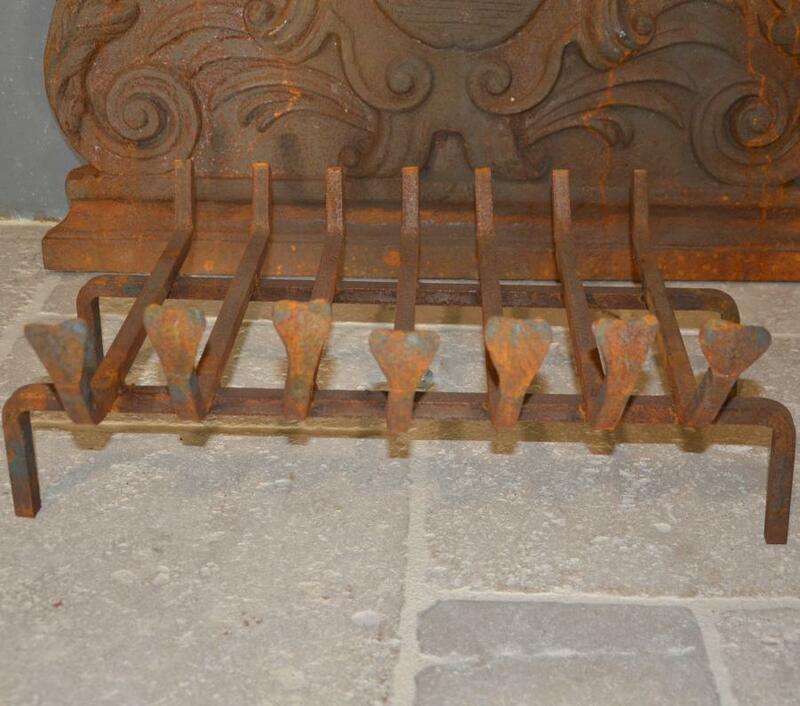 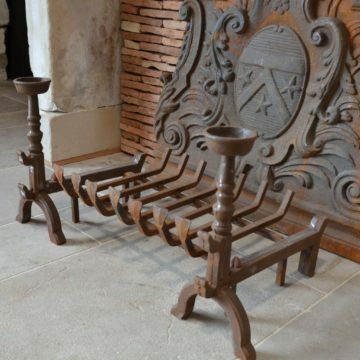 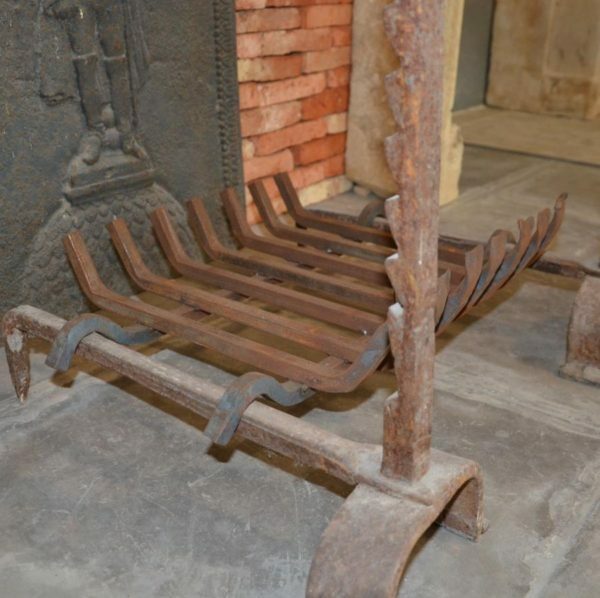 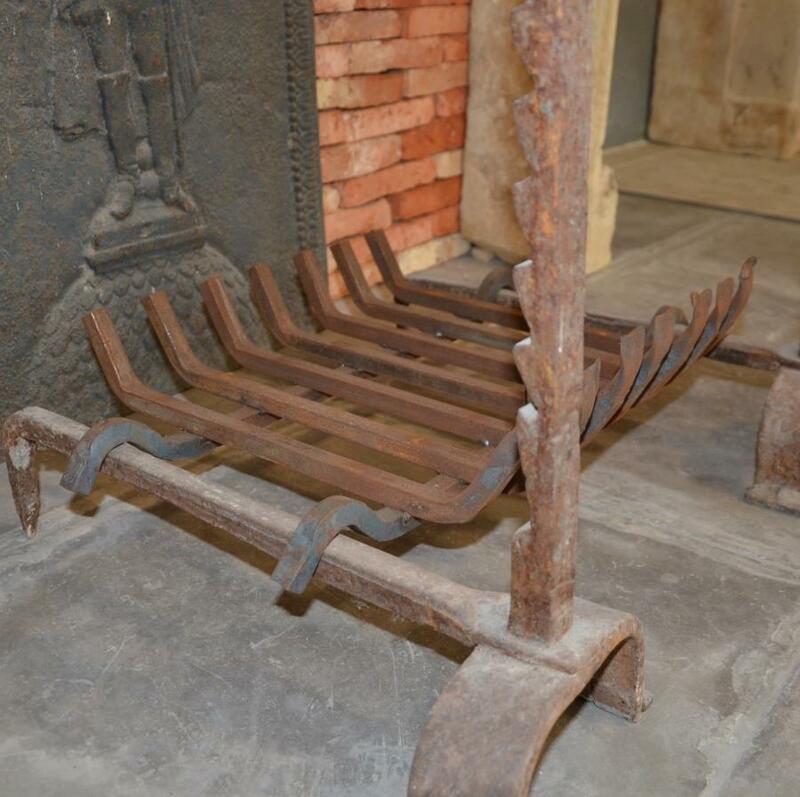 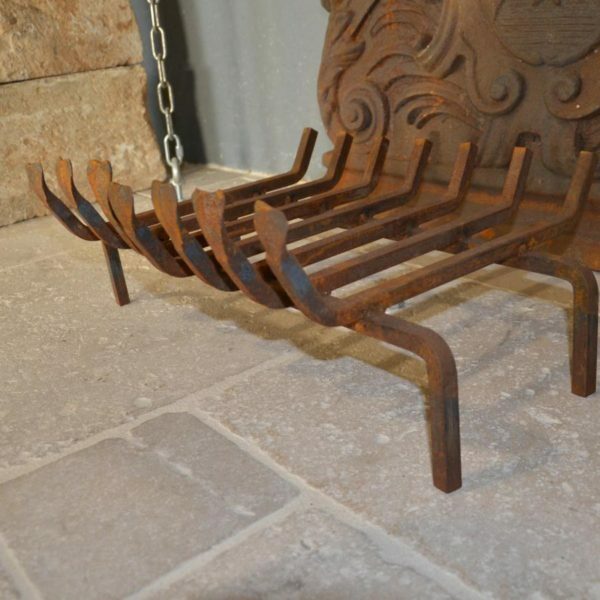 Iron grates for supporting logs in a traditional fireplace. Repro, not antique. 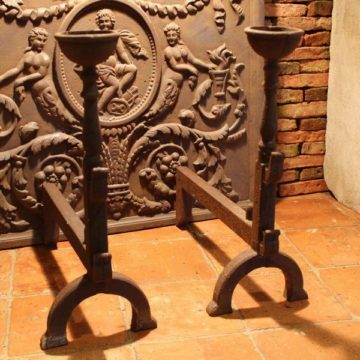 Dimensions approx: width 56cm (22 inches) x front-to-back 52cm (20.5 inches) x height 39cm (15 inches). 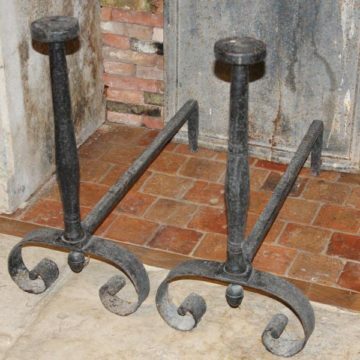 Two versions on display at BCA’s Méry Corbon premises between Caen and Lisieux in the Calvados (Normandy).